Summer’s here and we can’t wait to start socialising. Who doesn’t look forward to those first barbecues, long lazy lunches in the sun and holiday gatherings in the great outdoors? There’s so much great news going on in the world of drinks right now, we literally had trouble fitting it all into the new issue of Liquorland Toast. 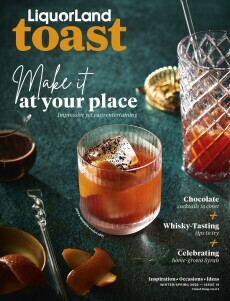 This issue we give you easy cocktails to make over the summer break in Life’s A Bach, with holiday cocktail recipes made with ingredients you’ll find in your local dairy or roadside fruit stall. We get cooking with alcohol in our Sozzled Seafood and Fruity Pudding shoots, and inject some bright colour with the Over The Rainbow cocktail shoot. We profile a flourishing Kiwi gin brand in Quiet Riot, and dive behind the scenes with Little Creatures and Lagunitas breweries. We’ve crammed lots of great picks into our Summer Wine Guide with everything from bubbles and savs to the latest aromatics, organic and canned wines. Our bumper Summer Beer Guide trawls across the best refreshers from lagers to pale ales and sours. Pick up your free copy now at Liquorland stores across New Zealand. Roll on summer!